Meet Nara! 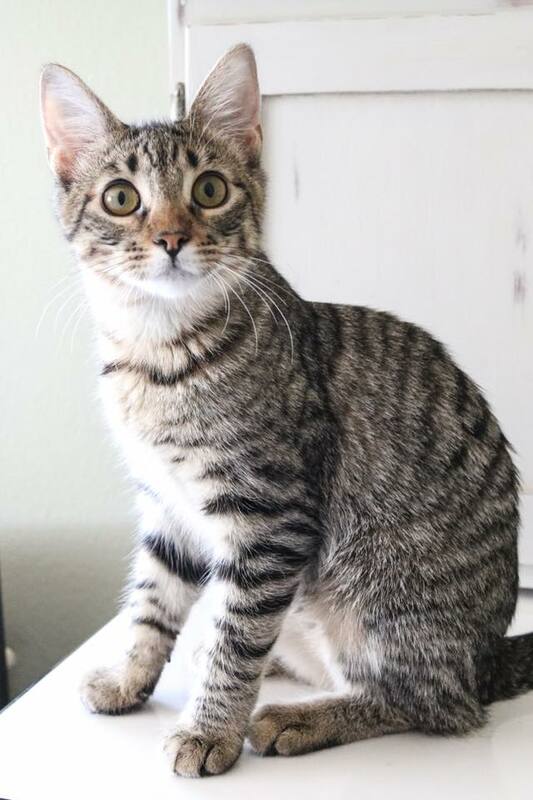 This sweet and spicy, tabby girl was rescued from Devore shelter in July when she was about 4.5 months old. 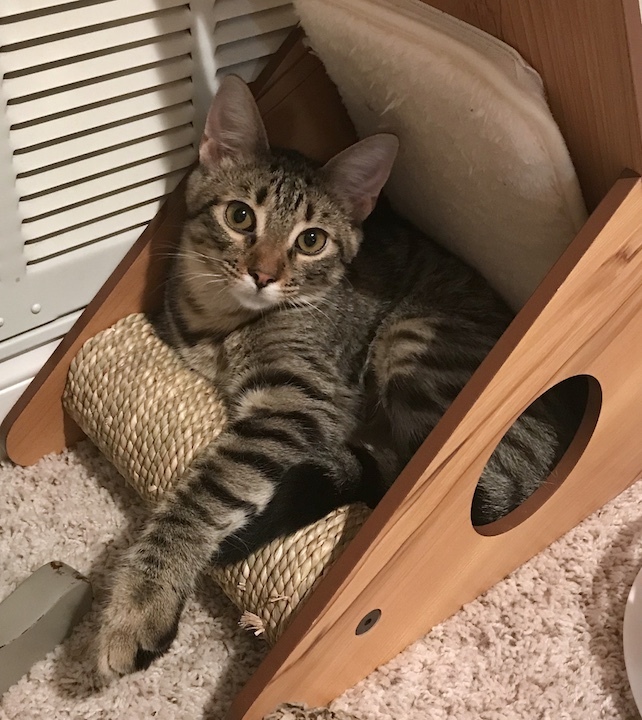 She has gobs of energy, but not having other kittens to play with when she was really little meant that she didn’t quite learn “how to cat”…so when she was rescued, she really didn’t know how to play properly with other kitties to get all that energy out. 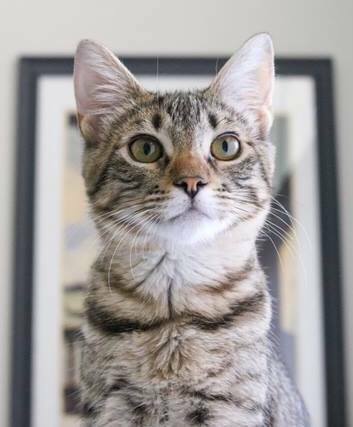 Nara has made great strides in foster care learning how to be a kitten from all her foster brothers and sisters! 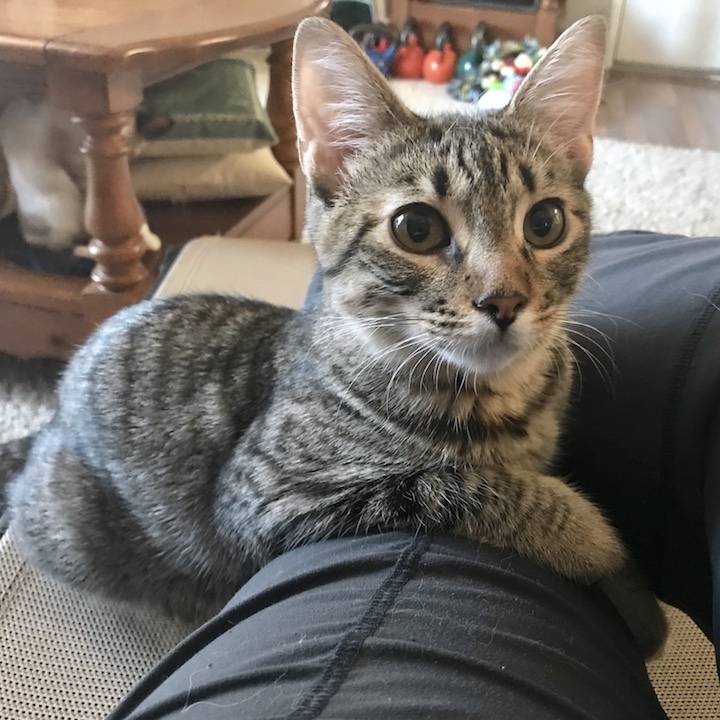 She plays rough, often pinning her foster siblings to the ground during their wrestling matches, and bounding through the house chasing her buddies around like a maniac. Did we mention she has lots of energy? Nara climbs and likes to be up high. She loves chasing her spring toys, the laser light, and likes to play with the wand toy. 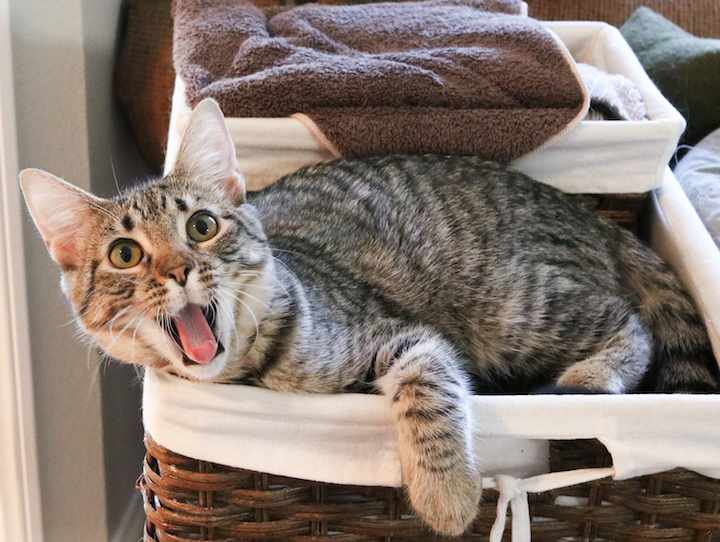 When she gets a burst of energy, she gets crazy eyes and will sometimes growl and hiss, but don’t mistake that for aggression- that’s her way of communicating that she needs some high energy play time! She can get a little mouthy when she plays, so small kids may not be a good match for her. Once she gets all that spicy energy out though, Nara is a little cuddlebug! 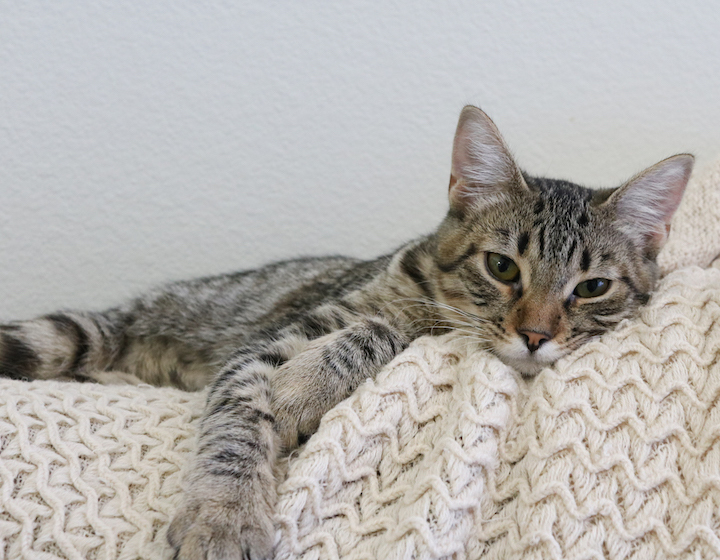 She loves to snuggle on the couch with her foster mom or be held, where she’ll purr in contentment. Nara is spayed, microchipped, up to date on vaccinations, and has tested negative for FIV and FeLV. 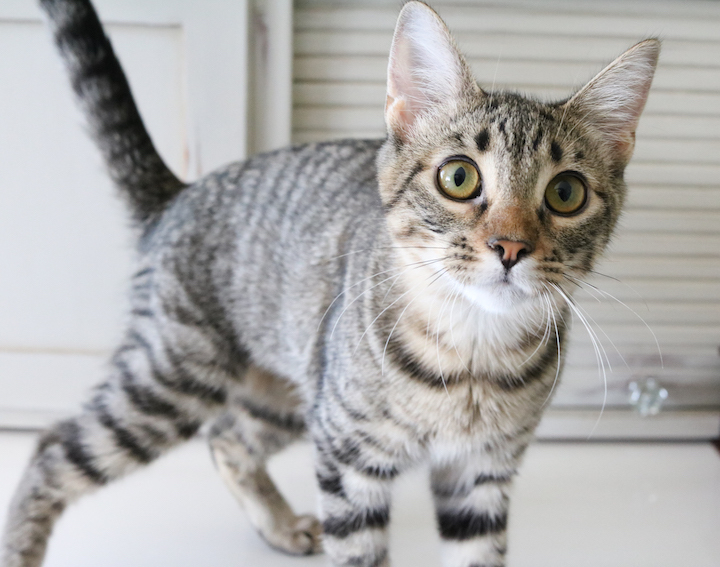 Because of her high energy and need to play all the time, she must be adopted with another playful kitten (may we suggest Knut?!) 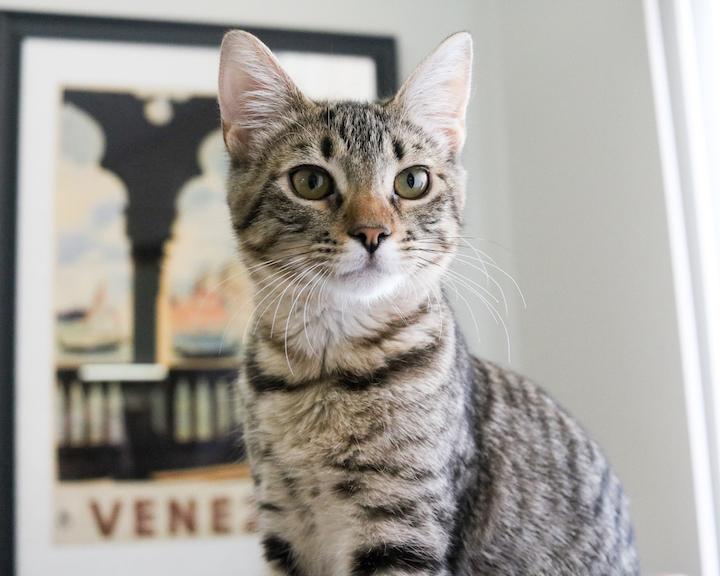 or into a home with a resident kitty who can appreciate her playfulness. 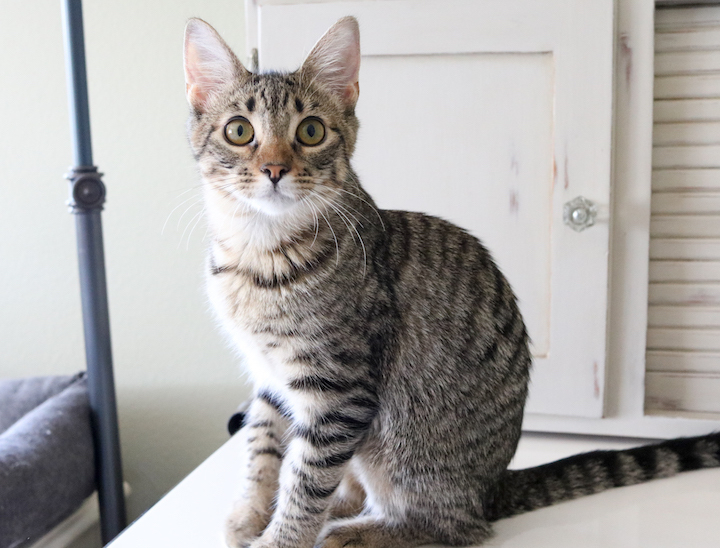 If Nara sounds like the perfect combination of sugar, spice, and everything nice, fill out an application to adopt her today! 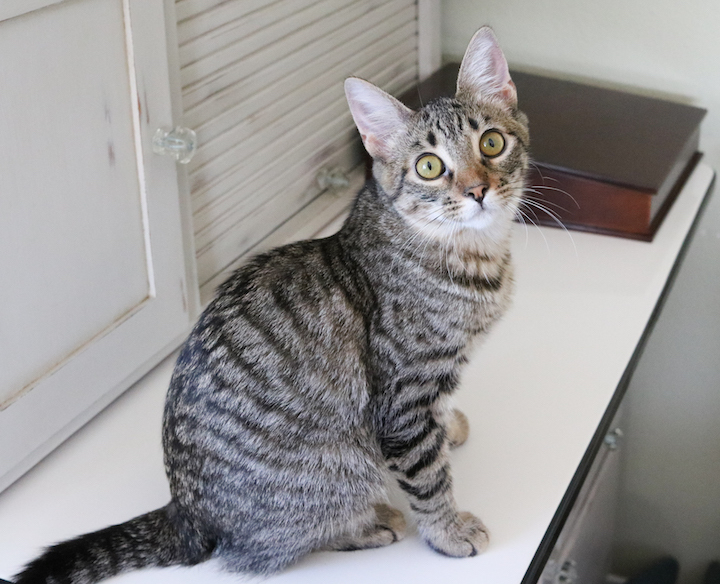 ** Please be aware: Nara is a highly socialized kitty who has grown up in a foster home with playmates. 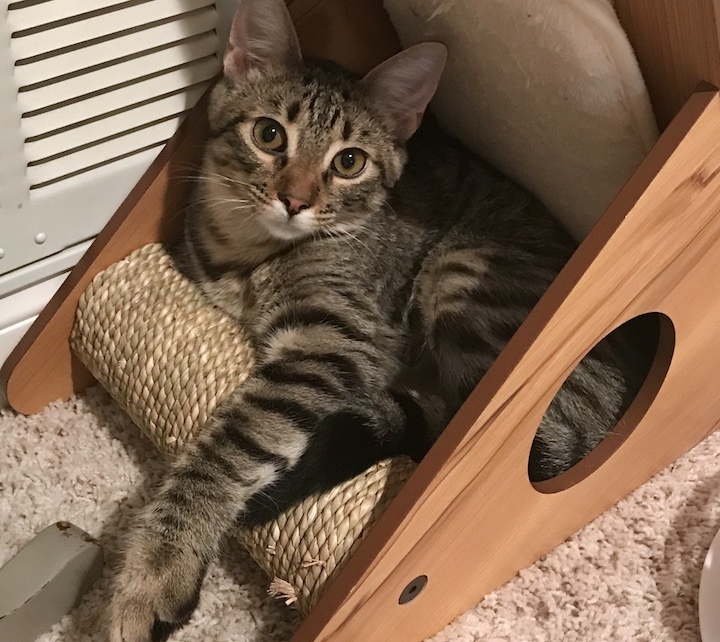 She is best suited for a home that has other kitties close in age and energy levels or be adopted with another kitten from our rescue. We will not consider applicants who have no other cats and only plan on adopting one kitty.